Well, I am absolutely gushing with glee as a fangirl...haha! Yes, despite the mixed reviews by critics, I loved this new installment in the Terminator franchise, especially after the dismal and disappointing third and fourth installments. But, because I love the Terminator films, I watched those films. Of course, I had mixed feelings about it... considering the whole time travel and changing the future concept. Anyways, enough of that... onto Terminator: Genisys. This is definitely a refreshing new take on the Terminator franchise. Although reminiscent of the first two films, The Terminator and Terminator 2: Judgment Day, this film also add a new story (if you will) to this theme. Talk about time travel, changing the future, and fragmented timelines. Apparently, the past, as well as the future, was changed. The action-filled movie was super-charged... with some scenes similar to the past two films. I even loved how there were scenes from the previous films integrated and interacted with the present scenes. Pretty interesting. Totally enjoyed seeing a CGI young Arnold... again! Speaking of which, Arnold is back! 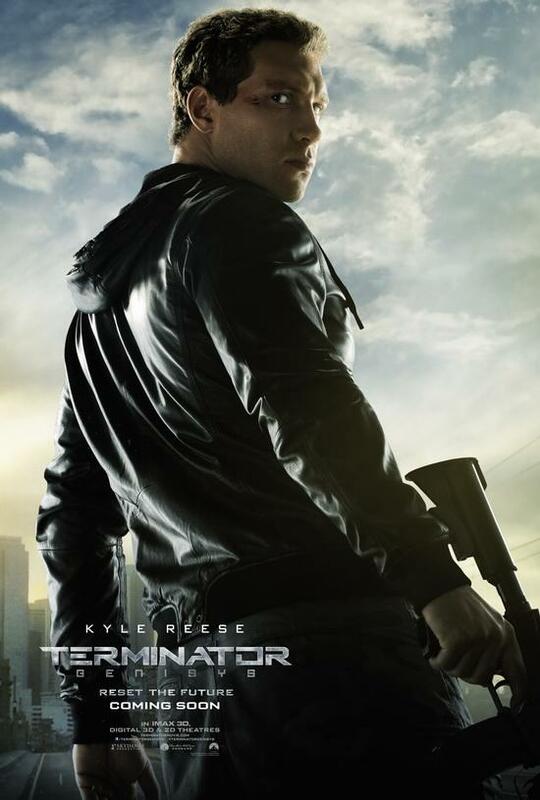 Yes, he is back reprising his role as that Terminator that many fans have loved since the beginning. Can't forget those famous one-liners that has continued to be popular to this day. And... in this new installment, we will have another famous one-liner by Arnold... sure enough, there is...haha! As for the casting, I loved it! Emilia Clarke and Jai Courtney did an amazing job as Sarah Connor and Kyle Reese, respectively. Although I loved Linda Hamilton and Michael Biehn from the original film, I think they would be proud of these performances. I cannot compare... it wouldn't be fair. They are all amazing actors/actresses; and they all brought their own tenacity to these characters. But, Arnold.... yeah, it's Arnold freakiin' Schwarzenegger! Heck yeah! 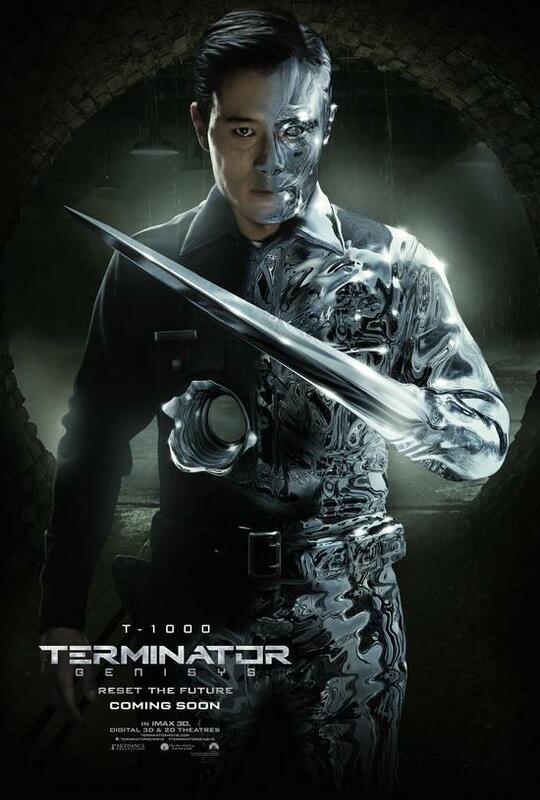 Can't see anyone else portraying the original Terminator...lol! He still brought on that same character that I loved since the first movie. Not disappointed with that...at all! Throughout the film, the common factor was the mission of changing the future. But, this time, everything has changed. With that...I will say no more. I don't want to spoil it for those Terminator fans and new fans that hasn't watched it yet. But then again, the trailers and TV spots pretty much spoil it as it is...revealing too much. All in all, I think this is the start of reviving a franchise that has become a classic...I hope. I would love to see more to come, especially after watching the after-credits scene. Yes, there is a scene after... Sooo, don't leave yet...haha!